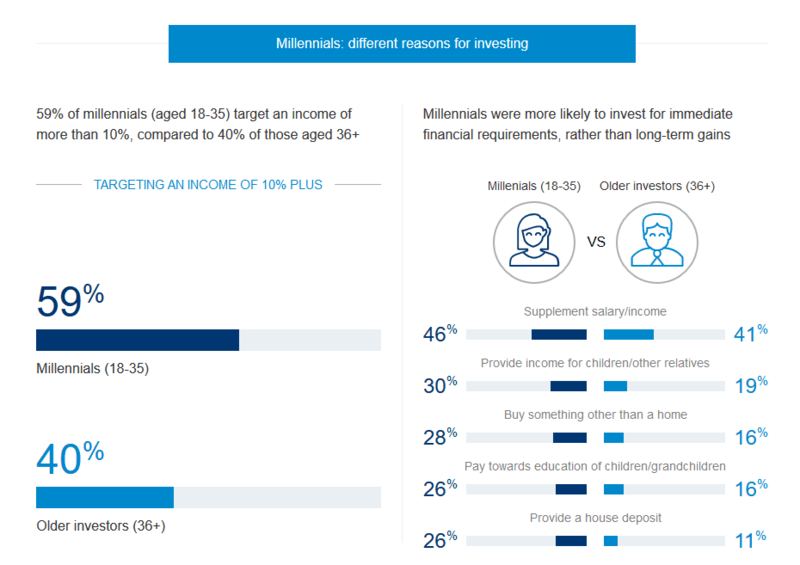 Millennial investors (those aged 18-35) have unrealistically high income expectations, a worryingly short-term investment outlook, and many dependencies to support both now and in the future, according to the Schroders Global Investor Study 2016. This report surveyed 20,000 end investors in 28 countries. The study also highlighted investors’ bias towards short-term investing. On average, global investors expect to hold their investments for a little over three (3.2) years. While this may be fine for cash and certain types of bonds, it will often prove too short a time period to counteract the volatility associated with equities. Less than a fifth (18%) of investors said they held investments for at least five years, the minimum realistic holding period for equity investments and around a third (31%) have a very short-term view, investing for less than a year. Again, this trend was pronounced in millennials who invest for over a year and a half less than investors aged 36+ (2.3 millennials vs 3.9 years investors aged 36+).